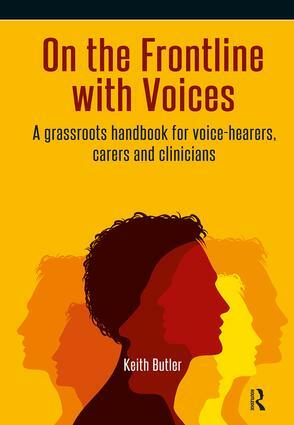 This is a jargon-free, user-friendly resource for voice-hearers and their carers, as well as the clinicians and groups who support them both. It offers a new and practical way of looking at voice-hearing as well as a host of practical strategies to assist in recovery. The resource is built around three core sections. Each of the sections speaks directly to voice-hearers, clinicians and carers, in turn. The style and content addresses each group's individual needs in terms appropriate to them and schools them in how to deal with voices from their particular perspective. The core aim is to provide these three groups with practical techniques they can use on a daily basis. The resource offers a proactive, practical and client-centred framework that is designed to reduce anxiety and increase the likelihood of learning new ways to deal with voices. Keith Butler is a consultant clinical psychologist and an associate fellow of the BPS (British Psychological Society). He was a key player in the development of the Buckinghamshire Early Intervention Service (BEIS) and occupied the position of clinical lead in the BEIS for its first 6 years up to his retirement at the end of 2010.